Author(s): Coldiron, A. E. B. 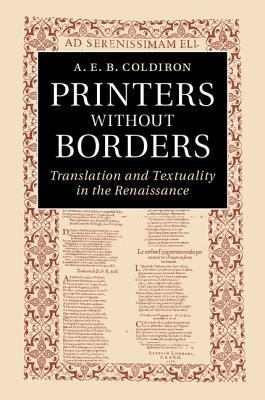 This innovative study shows how printing and translation transformed English literary culture in the Renaissance. Focusing on the century after Caxton brought the press to England in 1476, Coldiron illustrates the foundational place of foreign, especially French language, materials. The book reveals unexpected foreign connections between works as different as Caxton's first printed translations, several editions of Book of the Courtier, sixteenth-century multilingual poetry, and a royal Armada broadside. Demonstrating a new way of writing literary history beyond source-influence models, the author treats the patterns and processes of translation and printing. This provocative book will interest scholars and advanced students of book history, translation studies, comparative and Renaissance literature.